Corn, or maize, is a grain crop that grows in abundance in several countries all over the world. Growing corn is not difficult since it survives in different climate conditions. Corn has been noted to be a significant source of food and fuel as well. There are different types of corn and one is sweet corn. Some of the sweet corn varieties are white corn and yellow corn. Apart from their colors, there are also certain differences between the two. Continue reading to find out what differentiates white corn from yellow corn. White corn is a grain crop and a member of the Gramineae grass family. It is considered not just a grain, but also a vegetable and a fruit. Corn is a grain since it is a dry seed of a species of grass. It is also considered a vegetable when it is harvested before its maturity. 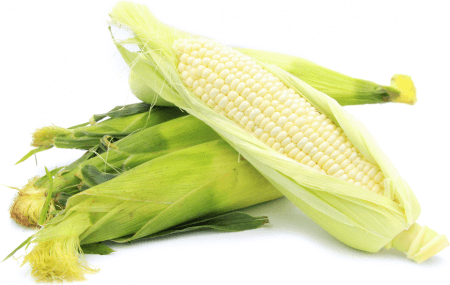 Corn is also a fruit by botanical definition since it is the seed-bearing part of a flowering plant. White corn is a variety of sweet corn and is preferred in different parts of the world. It gets its color from the presence of two recessive Y alleles. “Allele” is short for allelomorph, which describes the various forms of a gene. Different alleles result in varied traits, such as the pigmentation. The recessive alleles in white corn do not produce carotenoids, hence the endosperm is white. The endosperm is the nutritive tissue that encloses the embryo in the seed giving the corn kernels its color. The kernels and the milk of the white corn are both creamy white. This is the most common color of corn. White corn has a high percentage of sugar and water in its kernels, making it sweet and juicy. As the ear matures, there is a decrease in water content and the sugar turns into starch making the kernels harder and tougher. White corn is available in any season as it can survive in various climates or weather conditions. Yellow corn comes from the sweet corn variety and is available year round. It is considered as a grain, a vegetable, and a fruit depending on its maturity and use. This type of corn is actually developed from a series of research and studies on white corn. Yellow corn has a single (dominant) Y allele making it produce carotenoid pigments. These pigments are the ones responsible for the yellow, red, or orange hues in fruits and vegetables. The carotenoid pigments in the endosperm give the yellow corn its yellow casing. The same carotenoids make yellow corn a good source of beta-carotene, which in turn produces Vitamin A. Yellow corn is also a good source of lutein, which is good for the eyes. Yellow corn contains a lot of sugar and water in its kernels. It is often steamed, roasted, or grilled. It has a sweet flavor and goes well with various dishes. Yellow corn is also sometimes used as a sweetener in certain foods and beverages. Other times, it is left to mature and dry, decreasing the water content and turning the sugar into starch. The yellow corn is then ground and made into corn flour to make tortillas, cereals, or other baked foods. It can also be used for oil. 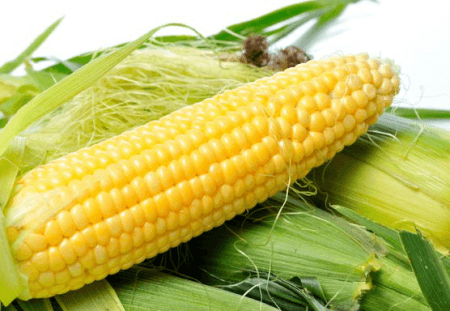 What is the difference between white corn and yellow corn? White corn has creamy white kernels while yellow corn has pale to dark yellow kernels. The most common type of sweet corn is actually white corn, even though people are more familiar with the yellow corn variety. White corn does not contain carotenoids, hence its color. Yellow corn, on the other hand, has carotenoids, giving it its yellow hue and also making it a good source of Vitamin A. Yellow corn also contains more lutein than white corn.